Welcome to Hodge-Podge III! This mod adds dimensions, decorative blocks, monsters and more! 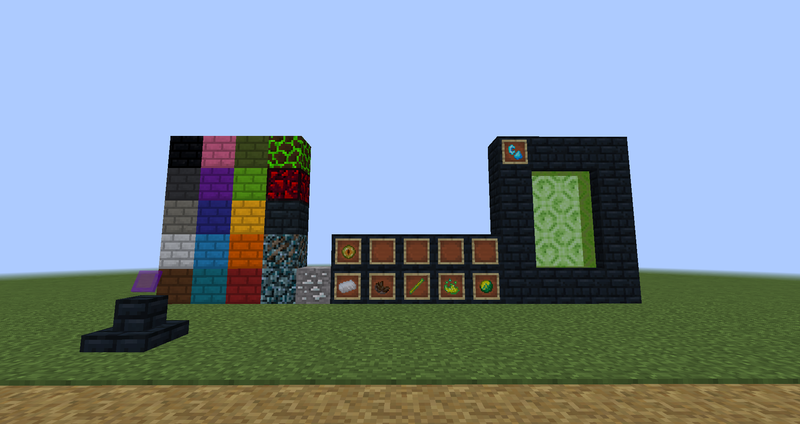 This is the remake of Eonaut's original mod. At the moment this mod is in early alpha, but new updates are coming soon! While playing Hodge-Podge III, you will be able to use many more decorative blocks, travel between new dimensions, fight new menaces and more! 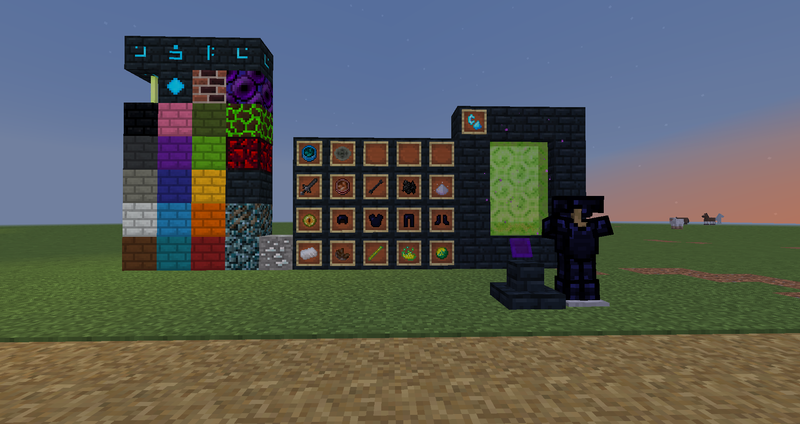 Some of the blocks in this mod have connected textures! 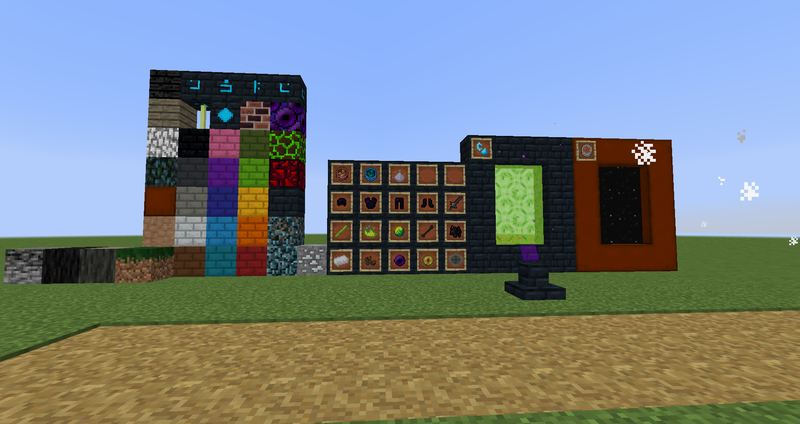 To use them, you have to download this mod: (https://minecraft.curseforge.com/projects/ctm). 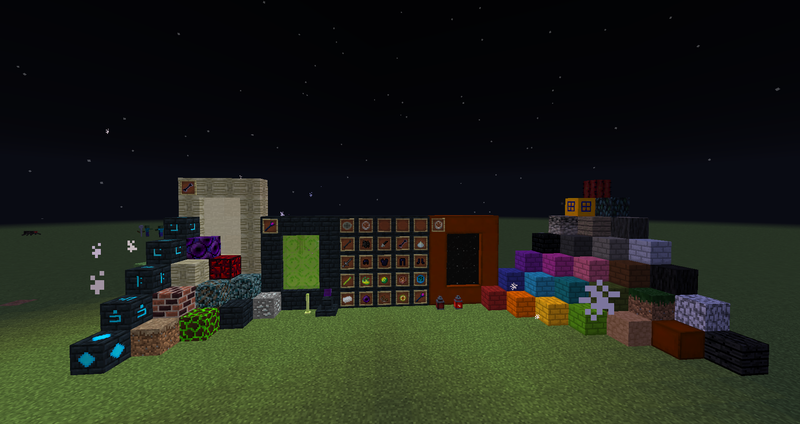 If you don't download this mod, Hodge-Podge III will still work, but you won't be able to see the connected textures. Dropped by the Smoldering Knight. When right-clicked, removes the fire on player. It has infinite uses. 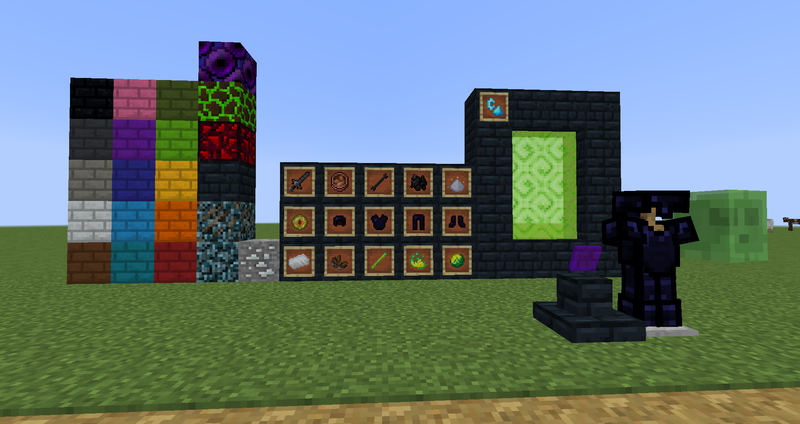 Craft a Mysterious Artifact and a Dark Lantern to make one of these four mysterious blocks that have a mysterious use. A little monster that likes to bounce in the lakes of the DarkWorld... and attack players. The frame is made of Bone Spines, while the igniter is the Bone of Destruction which can be obtained by killing the Smoldering Knight. It's like a cactus that grows on soul sand. It can be found in the wastes dimension and can be farmed similarly to vanilla cactus. It can be smelt to make red dye. Inflicts a little Wither effect for a few seconds when it hits a mob (that isn't the Wither or a Wither Skeleton). It can be crafted after beating the Smoldering Knight. Works similarly to a Redstone Lamp but has a 1.14 Lantern model. It was suggested by RockstarBonnet. I am glad to hear Raolcraft Omega and Modular Expansion will be getting an update (I haven't tried Pyromancy yet). Which should I update first in your opinion? probably due an update by now, but Raolcraft has had a few recently. Ok. I think I will release a Hodge-Podge update, then a Pyromancy update and a few new modules for Modular Expansion. Very Good Textures! Congratulations Raol! I think I will release another update soon. I found some bugs and I want to do some changes. Also, the boss has no actual reward at the moment. The reward I will add will be an item (I think I will call it Fire Pendant, but the name will change) that when used (it has infinite uses) will extinguish the fire on the player. You might be saying this item is too simple and it is overshadowed by RaolCraft's Fire Totem. Yes, I hadn't better ideas, but the Fire Pendant can be actually very useful in the Nether. It's better to right-click an item in the hotbar rather than place a cauldron and fill it with water. Also, the Fire Pendant is a lot more common than the Fire Totem: the pendant is mid-game, the totem is extremely end-game.